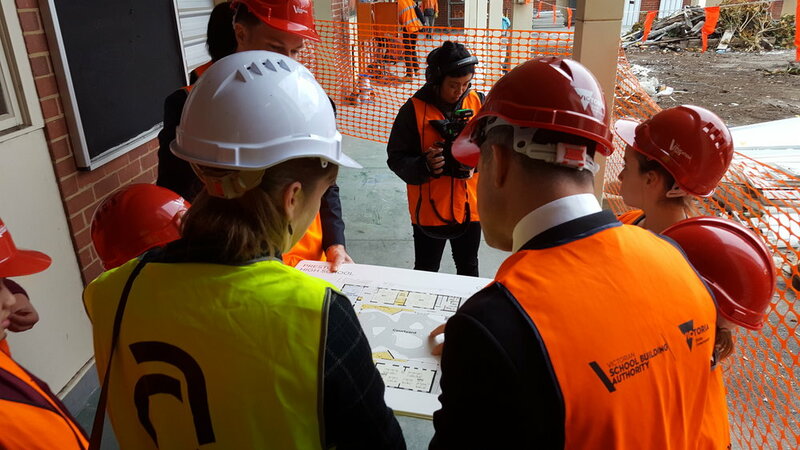 Last Monday morning, the 28th of May, marked the official sod turn by the Minister for Education, James Merlino, and Robin Scott, Member for Preston, to mark the commencement of construction at Preston High School! The minister and member were given a tour of the heritage building led by the new school principal, Sean Butler, accompanied by BC representatives, Peter Brown and Sarah Kahn, representatives from the main contractor CA Property Group, members of the High School for Preston community group and children from local primary schools. An official sod turning ceremony and speeches followed.